The Short Version: As Founder of the successful Toronto-based matchmaking agency Mutual Match, Terran Shea believes people should never leave their love lives to chance. She empowers her clients to peer inward to determine what they’re looking for in a relationship, and she helps make that a reality by providing full-service matchmaking and dating coaching. Terran Shea has been there. When her decade-long relationship was over, she was left questioning what life had in store for her next. The break forced her to get serious about exploring the dynamics between men and women and what makes for a sustainable relationship. So she took some time to reflect and sort through her feelings. “It became clear to me that we all invest a great deal of time and energy in our careers but often leave our love lives to chance — despite the fact that our partner choices greatly impact our levels of happiness,” she said. Terran saw too many people rolling the dice when it came to dating. Looking back at her own experiences, she knew she could help others on their quests for love — and, thus, Mutual Match was born. 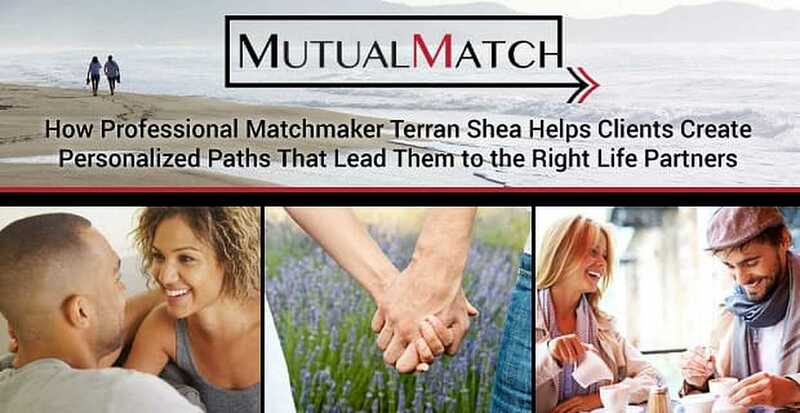 Terran Shea founded Mutual Match to connect singles with highly compatible partners. The matchmaking agency focuses on supporting people wherever they may be in their search for love — whether they’re re-entering the dating scene or just haven’t been successful meeting compatible partners. The aim is to help clients determine what hasn’t been working, discover what they truly want, and learn how to achieve their relationship goals. Terran’s intimate understanding of what it’s like to be uncertain of the future when going through a breakup enables her to connect with people on a personal level. Mutual Match offers a unique program that combines ongoing one-on-one coaching with personalized, traditional matchmaking. Terran goes beyond the match to make sure her clients have the best opportunity to make a true connection. Mutual Match’s all-inclusive services cover coaching, first date arrangements, and dating support services that are highly personalized and discreet. The agency’s services begin with the completion of an online form and a free phone consultation. Once Terran has decided Mutual Match is a good fit for your personal love goals, she’ll schedule a one-on-one consultation to dive deeper into your specific desires. At that time, she’ll go over your answers to an initial questionnaire. A lot of care is taken to make sure that your investments of time, energy, and money are being honored from start to finish. Mutual Match’s turnkey services were designed to offer a one-stop shop to help people find love. One of the unique facets of working with Mutual Match is its membership packages. 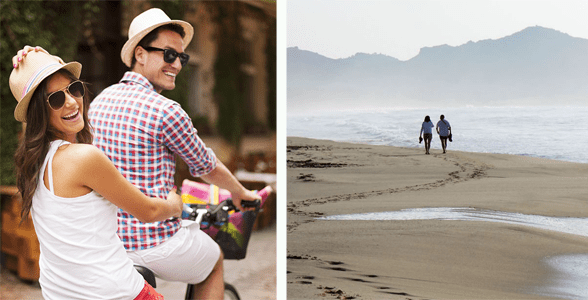 These plans can last anywhere from six to 12 months and include unlimited matches, ongoing dating coaching, pre-date tips and support, post-date check-ins, and first-date arrangements. Terran said the matchmaking process is very detailed, and members always receive encouragement before a date takes place. Terran told us she’s now offering separate coaching services to help clients with a range of issues — from getting clear on what they’re looking for in a partner to improving confidence and spotting red flags early. The idea is to zero in on the specific needs of the individual. Terran’s also taken on the role of an online dating consultant. She understands how overwhelming trying to find a match on the web can be, so she’s set out to help clients with profile writing, finding the right sites, and how to maximize time, among other online dating best practices. Terran told us one of the main things many singles forget to do in their search for love is spread the word that they’re on the market. She said it’s crucial for other people to know you are single. That’s why joining Mutual Match’s vast singles network can help increase your chances. When you sign up, you’ll only be contacted for further screening if you’re a potential match for another member. Joining Mutual Match’s singles network increases the odds of discovering the right person for you. Terran encourages all singles who visit the site to join the community. Should your status change, you can ask to be removed at any time by simply sending a message. Terran is dedicated to helping her clients access her wisdom and wit even when she isn’t physically present. The Mutual Match blog covers the most sought-after information, including answers to questions she knows matter to her clients. Terran keeps the blog updated because she knows the information shared can save daters from falling into unsettling situations. Her blog provides them with sound advice that she hopes can lead them to a wonderful partnership. The Mutual Match blog offers members information on an array of topics covering dating best practices. Terran said the foundation of any healthy, happy relationship is two people who have each other’s back, and that’s exactly what she wants to portray on her blog. With her advice, clients look deeper and avoid focusing solely on outside appearances, and this philosophy is fleshed out in some of her more popular posts. Here, Terran gives tips advising readers to avoid sending pictures to matches. While physical attraction is important, she doesn’t want it to become a barrier to possible matches that could be special. And she takes this into consideration for singles who sign up for membership. Mutual Match is attractive to clients, in large part, because of its customized service, and Terran prides herself on delivering this approach throughout members’ journeys to love. She told us no matter how busy the agency gets, clients are always a top priority. Terran told us the high success rate her clients experience and being able to positively impact so many lives is incredibly gratifying.